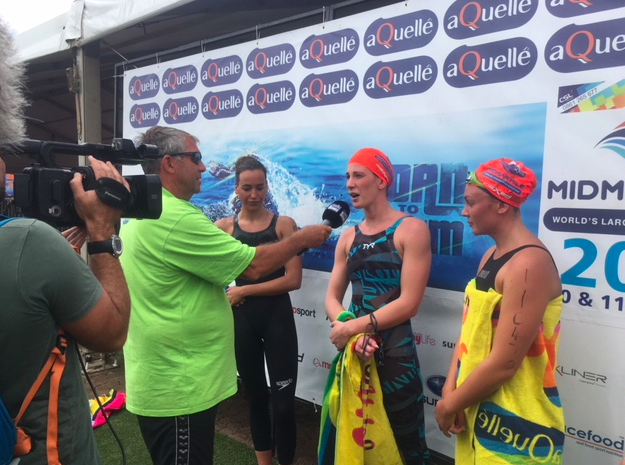 Ashley Twichell of the USA successfully defended her title at the aQuellé Midmar Mile. It was her fourth career overall win in the largest competitive open water swimming race in the world (2013, 2014, 2017, 2018). She completely destroyed the elite female field with a fast time of 19:12, over a minute faster than second place Marit Anderson of Canada who finished in 20:14 and Michelle Weber of South Africa in third place in 20:15.